Definitely a statement piece, our Estate Sofa becomes the focal point in any room. Beautifully crafted and available in a wide range of custom sizes and fabrics, hand-selected to match your decor perfectly. Our design team will work with you step-by-step to ensure you love the final product. Please note: products shown may include custom fabric and may not reflect the starting base price. 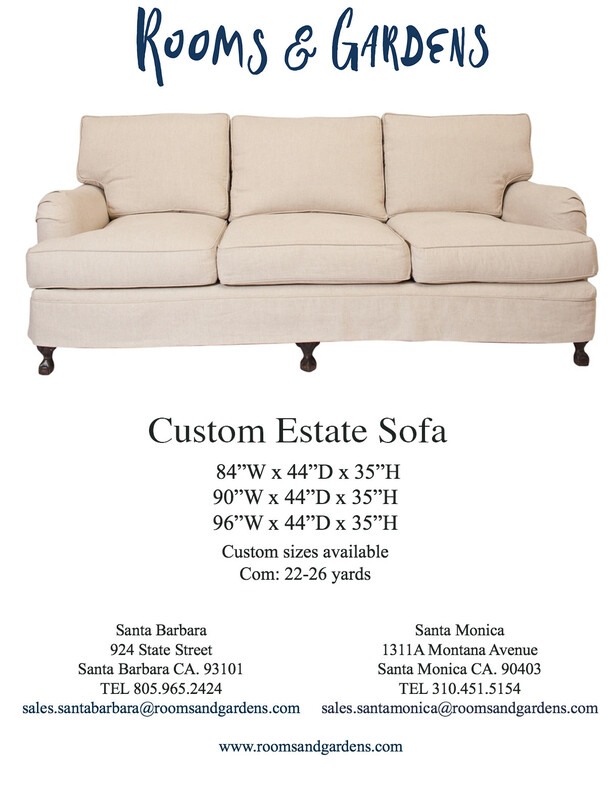 For an accurate quote or to learn more about the Estate Sofa, contact our knowledgeable design consultants today!